Our goal is to give each runner get the best swag available. Take a look at what we have for you. 12/4 – Last day to order your t-shirt/hoodie size. Any registrations after 12/4 will get t-shirt/hoodie size upon availability. 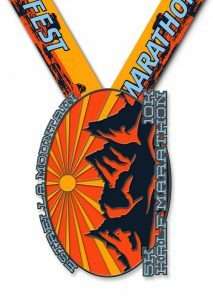 All finishers for the Half Marathon, 10K, 5K or the 10K and 5K Challenge will get the following medal. 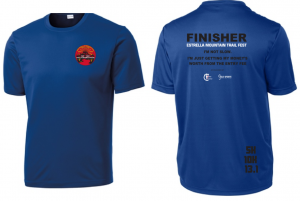 The finisher event shirt will be given to all finishers after crossing the finish line. 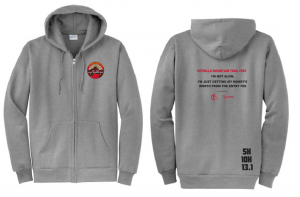 Half Marathon finisher will get a long sleeve finisher t shirt, finisher medal and a full zipper hoodie. 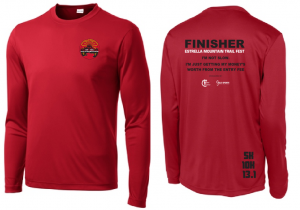 10K finishers will get a long sleeve finisher t shirt, beanie and a finisher medal. 5K Runners/Walkers will get a shirt and finisher medal. Participants who complete the challenge will get all the swag from the 5K and 10K plus an additional item.